I stay at the Big Lynn Lodge right on 226A every year for a long motorcycling weekend. When I arrived this year (2013), my first question for the innkeeper was “when did they $@^% up the road?” Those tar snakes just appeared this year. Prior to that, 226A was a road worthy of the marketing. Hopefully they re-pave it soon. Just rode it yesterday!!!! Its nice and paved. Now there may be a little gravel on the road in some of the curves so beware. Bottom line this rode is not for sissy’s. I rode it with my wife and 50-60 pounds of gear and did not have a problem….Buck Up!!!!!!! UPDATE – 226A section was re-paved in 2014. Unfortunate that they installed gravel shoulders. 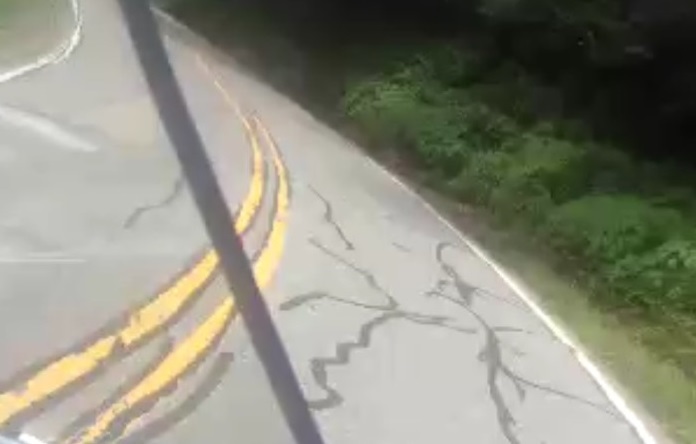 Nice low speed road with very nice curves. I like the uphill ride. Food at the Little Switzerland restaurant is amazing. Portions are generous. Well worth the stop.